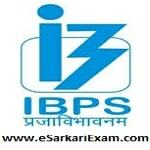 Eligible Candidates can Download Clerk Pre Exam Admit Card at the Official Website of IBPS. Open CRP Clerical Link at Home Page. Click on Common Recruitment Process Clerical Cadre VIII Link. Now Open Download Pre Exam Call Letter for Clerk VIII Link.